Director Barney Clay’s documentary SHOT! The Psycho-Spiritual Mantra of Rock takes viewers on a cinematic journey through rock ‘n’ roll history with legendary photographer Mick Rock. Best known for his iconic photographs of David Bowie, Lou Reed, Iggy Pop, Queen, and countless others, Mick Rock guides us through his psychedelic, shambolic first-hand experiences as the visual record-keeper of these myths and legends. As a long-time fan of his work, Barney set out to make a documentary about the photographer five years ago, and along the way, discovered a treasure trove of never-before-seen footage including outtakes and raw footage from David Bowie’s ‘Life On Mars’ video. 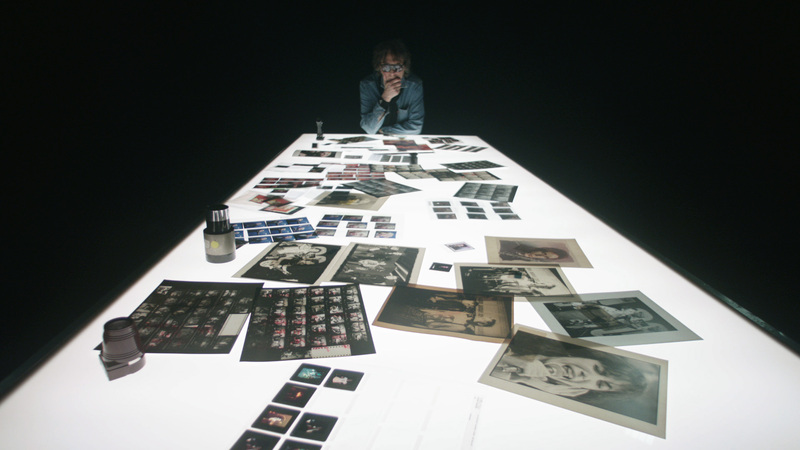 In 2011, Barney re-imagined Mick Rock’s music video for Bowie into the ‘Life On Mars Revisited’ video installation for The Creators Project. 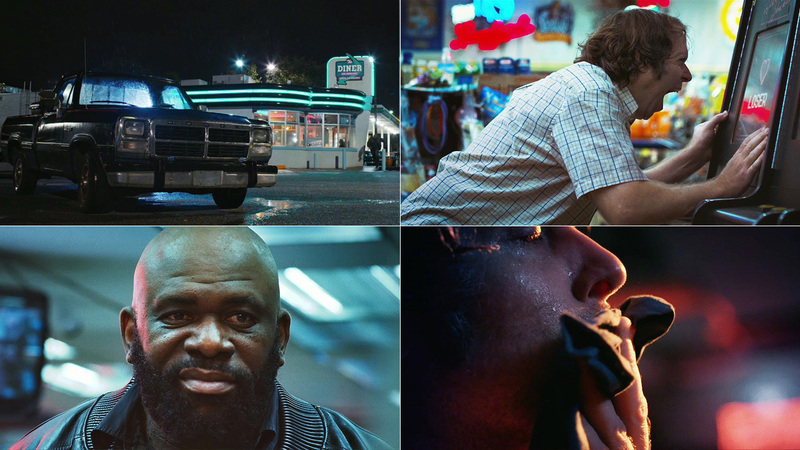 Graded by Mill NY Colorist Damien Van Der Cruyssen, SHOT is the culmination of the director’s vision, bringing the story of Mick's monumental career to audiences at this year’s Tribeca Film Festival. How did the 'Life on Mars Revisited' influence the documentary? What initially drove you to pursue Mick Rock as the subject of a documentary? Barney: 'The Life On Mars Revisited' piece was actually commissioned after we agreed to partner up for the documentary. In a way, it served almost as an ‘audition’ for me as a director working with Mick and his work; it was a vital tool in establishing an all-important trust between Mick and myself. The impetus to make the feature on Mick was his extraordinary body of work. As a teenager, I was always seeking out the kind of music Mick was synonymous with and some of his images, primarily ‘Transformer’ by Lou Reed and ‘Raw Power’ by Iggy & The Stooges, were seared into my brain from a very young age. When I began to realize that so many of these photos were taken by the same person, I thought there has to be something to this guy’s story – to take this many great pictures, of such a vast amount of culturally important artists, you have to start wondering how he managed to do it. With so much great content to select from, how did you decide what to include? What’s your favorite moment in the film? Barney: The images chosen for the film are almost always dictated by two things: Most obviously, how famous or ‘iconic’ the artist or photo is, but more importantly, how they fit into Mick’s story. We tried to mix it up. There are many stills in the film that are not necessarily going to blow you away, but are a great reference for the time and moment. And then there are some that truly ‘iconic’ - they are are straight-up works of art. I think my favorite moments in the film probably come from the audio interviews with Bowie circa 1972 (a month or so before the release of his first major success ‘The Rise And Fall Of Ziggy Stardust & The Spiders From Mars’ and Lou Reed circa 1976 (in Lou’s NYC apartment at a VERY late/early hour of the morning!). They not only capture these two great artists in such an unguarded, freewheeling manner, but they also show Mick’s relationship with them and how close he really was to them. I also love the 16mm of Bowie backstage pre-show putting his Ziggy make-up on. This footage has never been seen and it’s just so eerily beautiful. What were you looking for from the color grade to help achieve the final “look” or tone of the film? Barney: First off we had many different sources to work from (35mm stills, digital stills, archival 16mm, our contemporary 16mm and Alexa), so it was important that the final film had some kind of visual coherence. We also wanted the film to look good. This may seem like an obvious thing to say, but it doesn’t seem to be of huge importance with all docs out there. This is a film about a photographer who’s produced so many beautiful images and we wanted to do them them justice. The film is also set in a very strange and abstract place - Mick’s psychedelic subconscious – so tonally we wanted to keep it both theatrical and mysterious, which I think Damien achieved. What are your plans for the film post-Tribeca Festival? What do you have planned next as a director? Barney: Now it has had its premiere, it will make the journey across the rest of the festival circuit and hopefully at some point along the way be picked up by a distributor with the idea of gaining a theatrical release. Although it will no doubt end up in the streaming world, this is a documentary that deserves to be seen on the big screen! In terms of my future, I have some narrative-based feature treatments ready to go, hopefully one that will not take another five years to make! Take us through your process for creating that overall look of the film. What references did you use for inspiration? Damien: Barney came with a look in mind that would simulate Mick's vision and style. The inspiration was mostly through stills that are in the movie but he also added a lot of personal visual ideas. He purposely shot on multiple formats to have a wide variety of looks. The main interview and studio sections were shot on Alexa, the contemporary exteriors were shot all BW negative 16mm and the archival footage was reversal BW or Color. Plus, we have a lot of actual stills in the movie that were provided as digital files. We wanted the look to stay very filmic and stylized. Barney and Max Goldman have shot the studio with four different lightning set-ups that were activated on set. It gives a real energy to the interviews, and mimics the live lighting that Mick was using when shooting some of his most iconic photos. My favorite scene in the movie is inspired by La Jetée by Chris Marker. 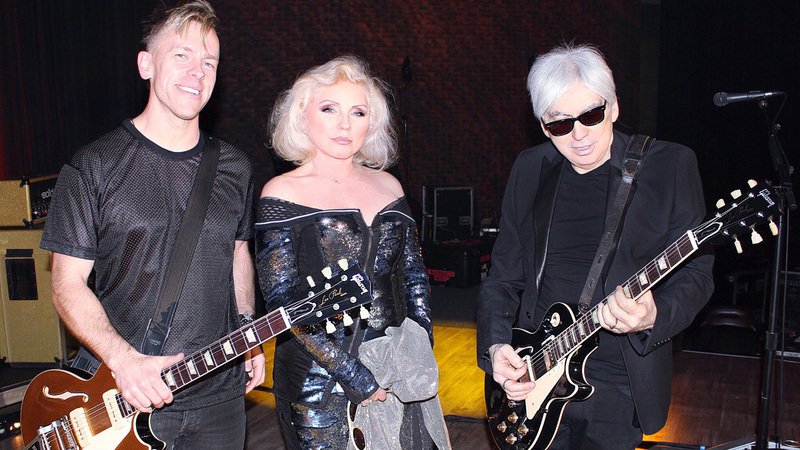 It's when Mick Rock has a heart attack during a photoshoot. Here again, a different medium and texture so we went for a very different style, added a lot of grain and used a bit negative picture added on top of the positive one and blurred it to create a glow. My approach was trying to replicate a glowy mask around the edges, almost solarized the way you can see on old prints. It works well because it's a stills sequence and the following sequence was also a negative scene. The slight solarization adds a discomfort, a tension that was driven by the scene. What role did the music play in your process? Damien: Of course the music was very influential in the color process, as it was for the editing, the visual response to the musical chapter of the movie. They all had variations. More saturated for the psychedelic section, warmer and grainier studio setting for the re-enacted first photo soot. (and based on the real Syd Barrett photo shoot). How did you work with the older footage and photos to unify the look of the overall film? What was the most challenging? Damien: The most challenging in a way was to keep all these mediums and material close to the original while also having a movie that visually has a direction. Dealing with five or six formats and keeping them separate but trying not to be too all over the place was the biggest challenge here. We decided to add grain to all footage to have a textural connection between all formats. But of course, they all had a bit at different levels of grain. Another challenge was dealing with all the transition between formats, there are fades from Black and White to Color, Alexa to Archive and all these transition had to be broken down and done in order to better control the transitions. Because we had two types of BW, we needed a treatment to differentiate them more than to unify them. The archival BW, is flatter and has a warm bias, it also shows the full Super16 gate from a 16mm positive, so we see the perfs on the side. The modern BW is more contrasty and true BW, and is true Super16. You previously graded Barney's ‘Life on Mars Revisited’ installation. How did the projects differ from your perspective as a colorist? Were there any similarities? Damien: 'Life on Mars Revisited' was really the beginning of this project. That's when I met Barney and connected right away with this amazing footage and potential behind all the material that Mick Rock had shot. It was a much easier process last time because we were dealing with one look and one music video. How is working on a documentary film different from a music video or commercial? 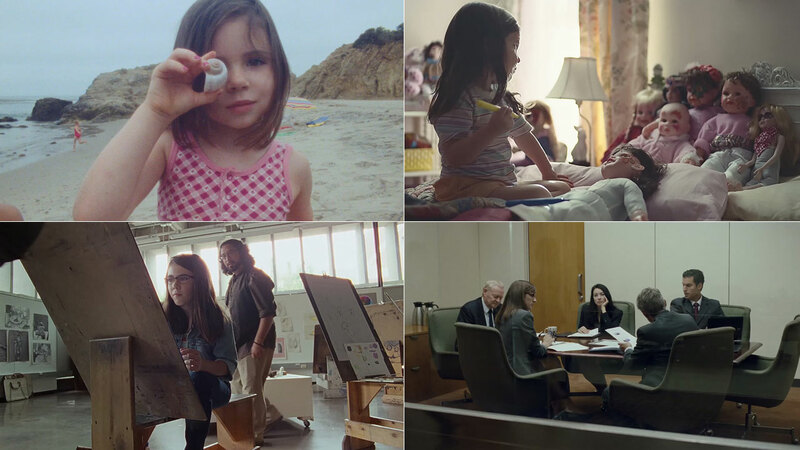 Damien: I think that the long form in general calls for a more careful use of the color palette and storytelling. I like being more involved in the creative process and reflecting more on the mood of a certain scene or whole movie. The use or manipulation of colors are serving the story or character. It's difficult to do that on a short form where the visual has to be more impactful and usually serving a product more than a story. But I'm really embracing the longer form of branded advertising these days, I feel that these commercial really let the visual breathe, and put the product as supporting actor.